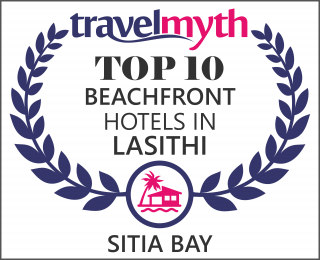 We stayed at the Sitia Bay for a week in September 2013 and loved the hotel. The little touches provided by the Owners made us feel very welcome and we appreciated the home baked treats each day and the sightseeing advice offered. The beach area and pool were perfect for relaxing. The rooms were spotless and very comfortable. We look forward to returning next year. Thank you. In June 2013 we stayed again a couple of days in Sitia Bay. It was again a great pleasure. The kindness of the owner and the complete staff made our holidays perfect. The room was comfortable and very clean, also the pool and the complete area. A very warm “thank you” to Renata for her delicious jam and bread. 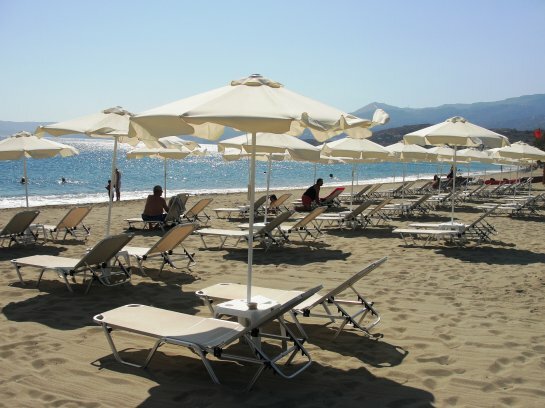 New this year was the poolbar, sunbeds and umbrellas in front at the beach. The centre, the port and tavernas are in easy reach. We can recommend the hotel as an ideal place for relaxing or as starting point for many excursions. We stayed the first time at the mediterranean. We are verry satisfied with everything and recommend this hotel to everyone. Owner and staff are verry friedly and helpful. So we found little surprises in form of fresh made marmelade, bread, a bottle of whine, desserts and cookies nearly every day. Because we are no driver we got a private sightseeingtour by the owner. That was a verry hearty gesture. The hotel is beautiful, with verry good comfort and well looked after. The terrace on the roof is worth to visist espacially by night. Pool and chairs are clean and well cared for. We had a really relaxed holiday. Renate, Eric and the staff get the best raiting. We have just returned from a very enjoyable week at Sitia Bay. 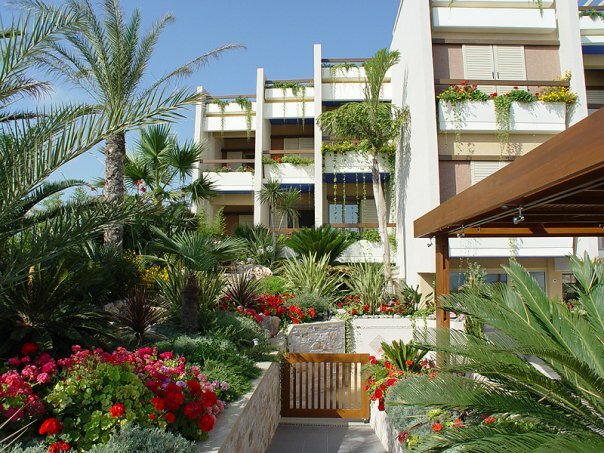 The apartments are lovely, modern and clean with a balcony overlooking the beach. The pool is great and it is just a few metres to the beach. The staff are all very friendly and helpful and the bread and cakes were delicious! Enjoyed the tavernas which are just a few minutes walk away in the picturesque harbour. We went to Vai beach most days where you can sit in the shade of the palm trees and the kids enjoyed snorkeling. Hope to retutn next year. We have just returned from a two week stay at Sitia Bay where we had a wonderful, relaxing holiday. We were warmly welcomed and the room and surroundings were spotlessly clean. Delicious home made bread and cakes appeared in our room daily and were a most enjoyable surprise. 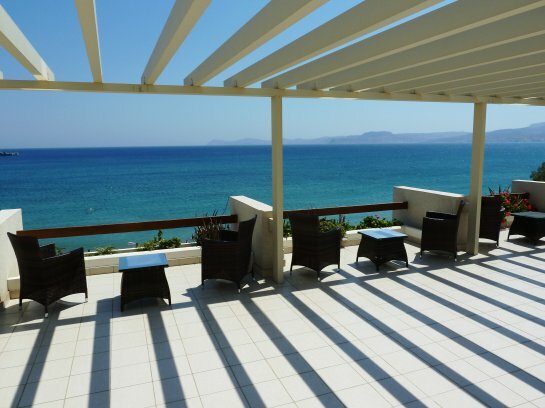 The pool was lovely, the beach was just across the road and many good tavernas close by. We hope to return next year if possible. We came three years ago in this hotel, and were so warmly welcomed that we decided to come back this year. And again we were so impressed by the quality of this place : the spotless cleanliness, the delicious bread and sweets home-made by the owner, the very useful recommendations for excursions by the young manager, the atmosphere of peace and sincere kindness shown by the family and their employees. 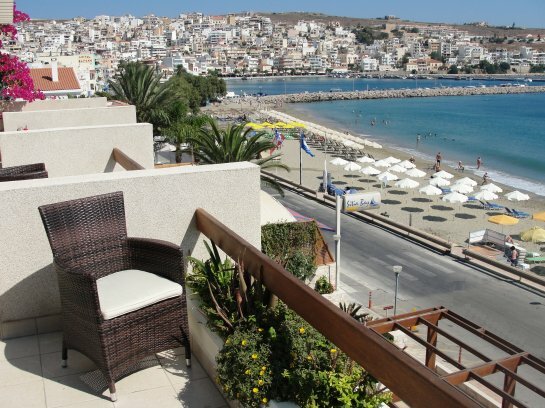 The view on the sea is the best in Sitia, you just walk across the street and are on the beach, close to nice tavernas, and yet very quiet and peaceful. We love this place and hope to come back very soon!!! Just had a wonderfull time in Sitia Bay. Never seen such clean apartments! Nice, friendly hotel family. Eric was always helpfull and friendly. 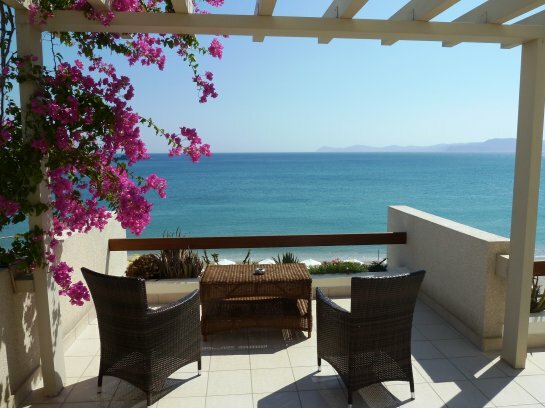 If you are looking for a hotel or apartment in Sitia: go to Sitia Bay! Très bon hotel, bien tenu, bien situé, bon contact humaine. Très propre et bien tenu d’abord. Avec respect pour l’établissement, pour la clientèle. Les propriétaires, Paul, Renata et Erik, sont des gens qui donnent du bonheur à qui fait leur connaissance. Le personnel soigneux et souriant; on voit qu’ils sont heureux de travailler dans cette belle établissement. Les petit fours et les confitures maisons de Renata, la reine de l’établissement sont des délices. J’avais lu des commentaires du genre: Mieux que ce que nous avons lu. C’était vrai, je le confirme. Seul bémol; il n’y a pas de fromage au petit déjeuner. Dernier mot; les habitants de Sitia sont aussi très agréables. La ville de Sitia… non dénaturée, simple et belle. Espérons que cette ville garde longtemps encore son charme. 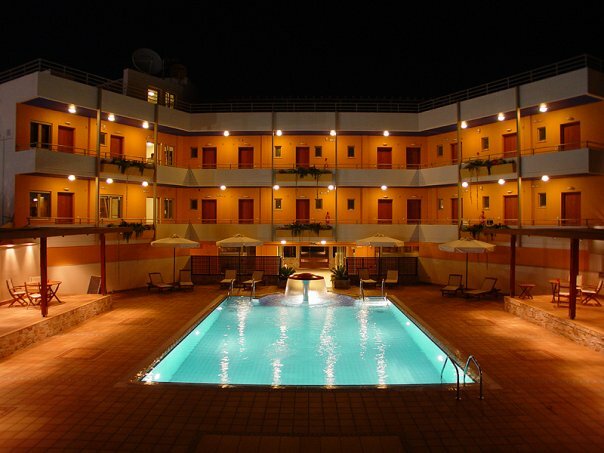 This is truly another class of hotel in one of the quiet and still unspoiled parts of Crete. My wife and I stayed at this hotel for the first time in September, after a busy professional year. The first thing that strikes you on your first night there (apart from the cordial and friendly welcome) is what a truly wholesome and replenishing sleep you can get. As the hotel is only 5 or so metres from the beach (and away from the town centre), the only thing you can hear at night is the soothing waves. Coupled with a luxurious mattress, a long relaxing sleep was the perfect start to our holiday. One of the very unique characteristics of this hotel is the personal touch – the owners of this family-run hotel Paul, Renata, and Eric make you feel so welcome that by the end of your stay you feel like you are part of the family. Eric seems to have excellent insider’s know-how of the area, from local tavernas to nearby sights and beaches, and will happily provide the best possible advice on where to go and what to see – all his recommendations turned out to be spot on and made for memorable excursions to say the least. 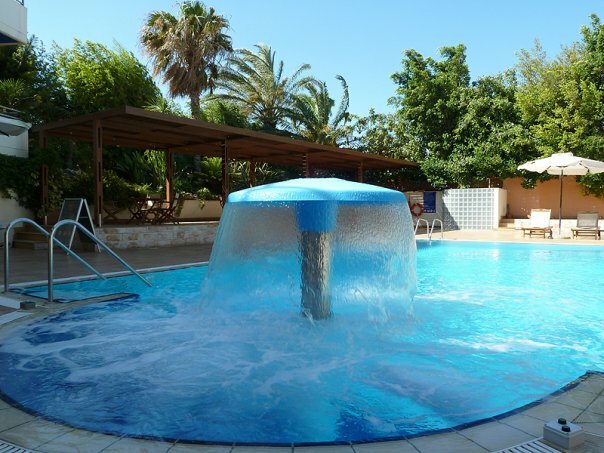 But even if you fancy a quiet day in, there is plenty to aid your relaxation in the hotel, including an exceptionally clean swimming pool with beautiful surroundings, and very comfortable sunbeds (free of charge). The beach in front of the hotel is a long sandy stretch that is perfect for swimming and for idyllic sunset walks. The rooms are very well appointed, with good quality fixtures, a kitchenette and all necessary utensils for cooking proper meals. However, with the excellent and relatively inexpensive tavernas that Sitia has to offer, we very rarely made use of the cooking facilities. Renata’s cakes and home-made breakfast (at a small supplement) add to the homely feeling you get when you are there. If you want an earnestly relaxing holiday, in a lovely Greek town (and not a busy resort), then this hotel is recommended in the strongest possible terms.